Well, having survived the difficult four hole start, the easy par four, beware! This short par 4 may not look difficult but has ruined many a good start. Tree lined with an out of bounds trench for the length of the left side, the fairways slopes naturally from left to right, gathering tee shots into two leftside fairway bunkers very well positioned at the right distance for the less accurate tee shot. The green is reachable by the better golfer but has the added risk of a copse of trees on the left. 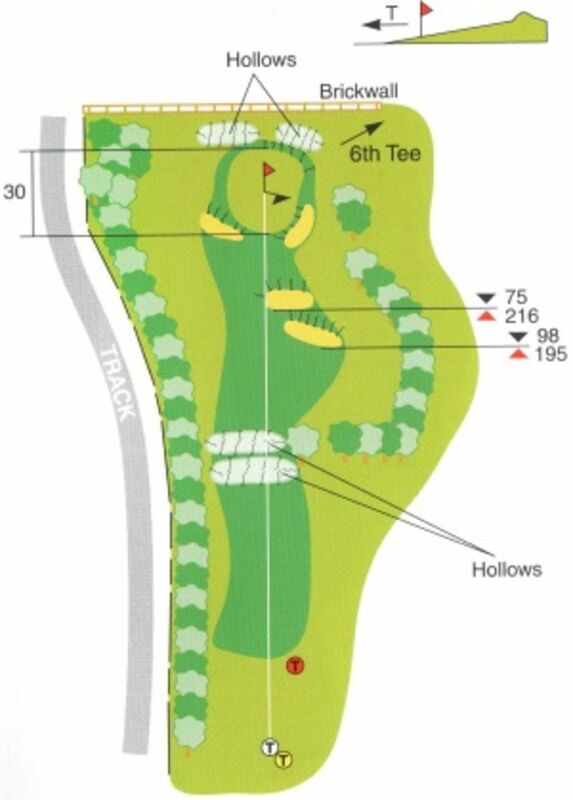 The green has a front left greenside bunker, whilst the right side is protected by a long bunker that runs parallel with the direction of the large back to front sloping green. The green is possibly the most undulating on the course and can damage the best golfers card if less than full concentration is evident when putting. As usual a par or better and its easy, but disrespect this hole at your peril.